This is so the item can fit in shipping boxes with inside dimensions of 12x12 in. Coverage: one sheet covers approximately .9 sq. ft. (or 90% of one square foot). Gap / Space where pennies are closest to each other is about 1/16 in. 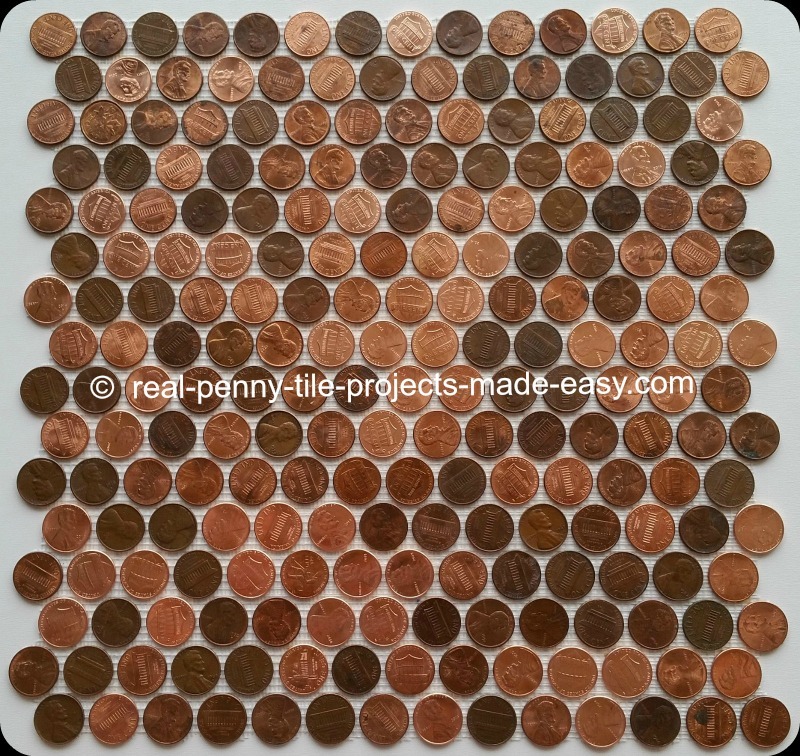 There are 14 pennies in one row and 16 staggered/offset rows. Weight is about 1.3 lbs. per sheet. Each sheet has 2 layers of mesh, giving it more strength and providing for safer/easier handling and installation. We make sure the mesh follows the very curved outline of each sheet and does not stick out at edges to interfere with the next sheet at installation time. Also, the mesh completely covers all pennies that are on the 4 edges the same as it covers the rest of the them (as seen in the picture). That's one of the big details pointing to quality manufacturing of penny tile sheets in general. Double layer of mesh perfectly following the edges. Measure the SF of your project then add some extra SF as you think are needed for your particular case, to get your total SF. 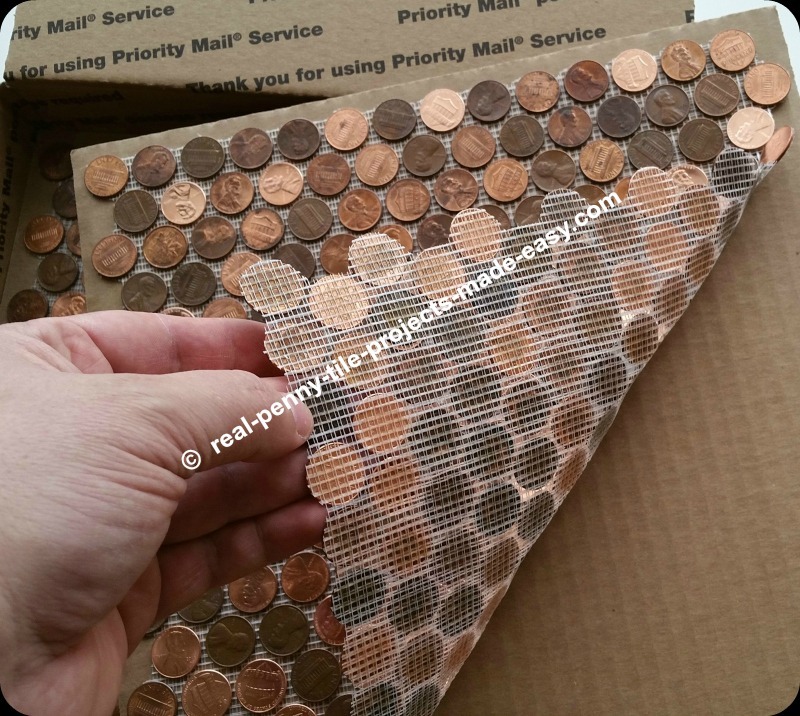 How many penny sheets to order for your project? I'll do the math myself.